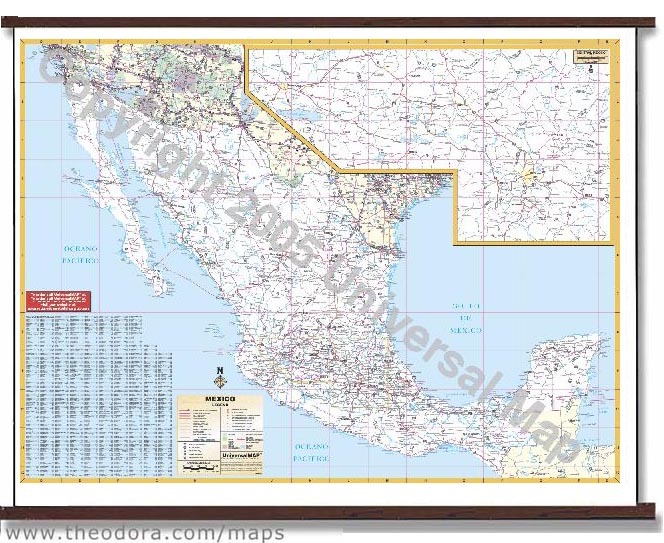 This deluxe wall map has executive wood-grain rails mounted at the top and bottom, and it includes political boundaries, cities, highways, major waterways, military installations and points of interest cities and towns. 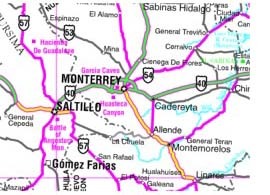 Inset - Central Mexico - Mexico to Guadalajara. Indexed on map.